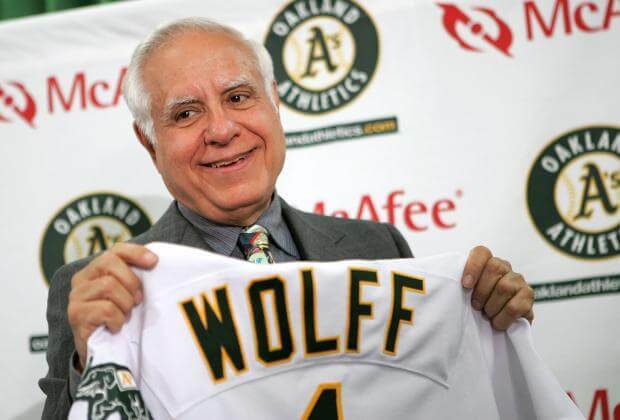 On March 30, 2005, the Athletics were sold to a group fronted by real estate developer Lewis Wolff, although the majority owner is John J. Fisher, son of The Gap, Inc.’s founder. Wolff, though a Los Angeles businessman, had successfully developed many real estate projects in and around San Jose. The previous ownership had retained Wolff to help them find an adequate parcel on which to construct a new stadium. Because of Wolff’s background, rumors that he wanted to move the team to San Jose surfaced periodically upon his purchase of the team. However, any such plans were always complicated by the claims of the cross-bay San Francisco Giants that they own the territorial rights to San Jose and Santa Clara County.